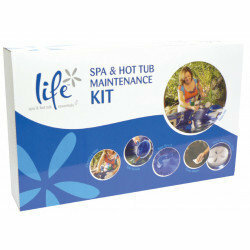 This kit is the ultimate spa and hot tub cleaning kit that includes all the basics to keep your spa in tip-top condition. Snap fit garden hose connection. The performance of the Supa-vac is dependant on adequate water pressure being available. Normal town water pressure is sufficient.